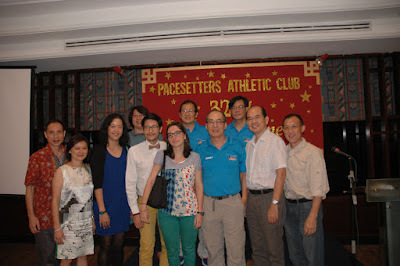 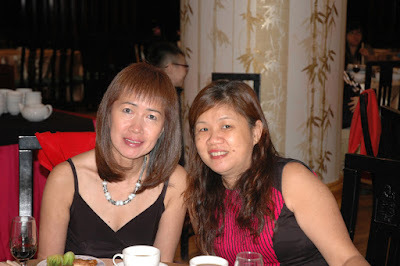 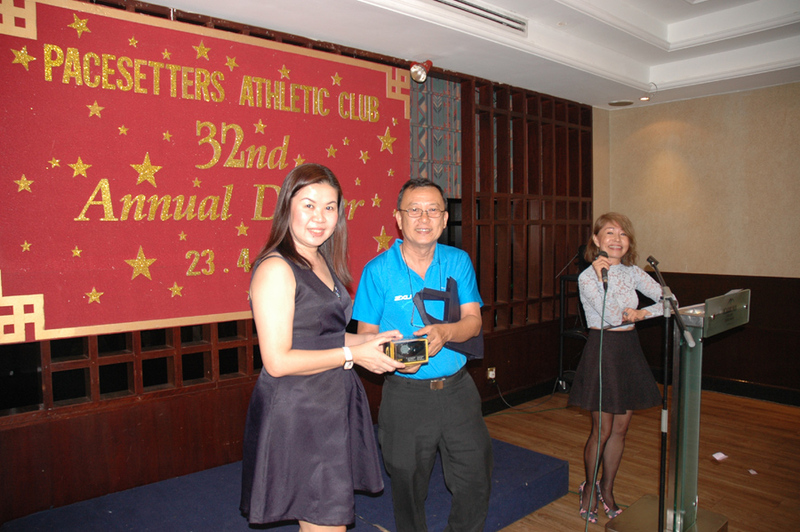 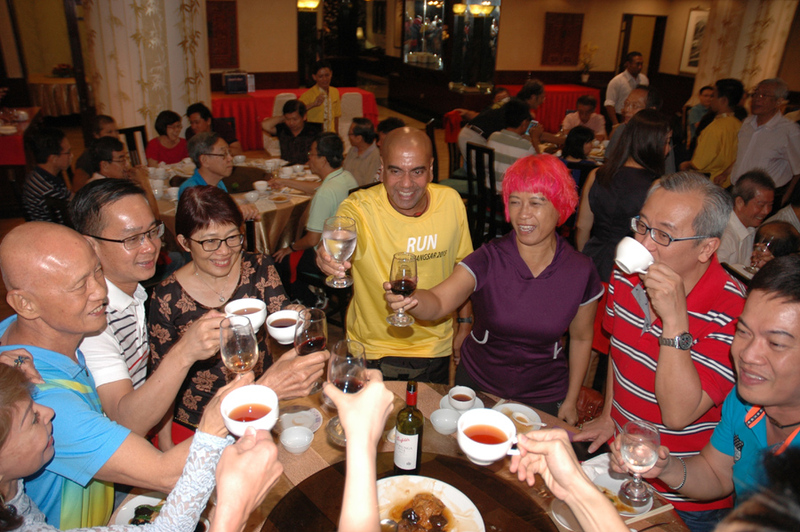 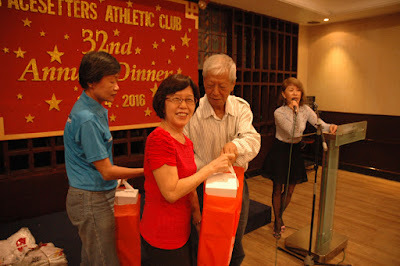 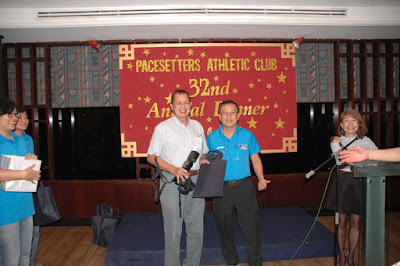 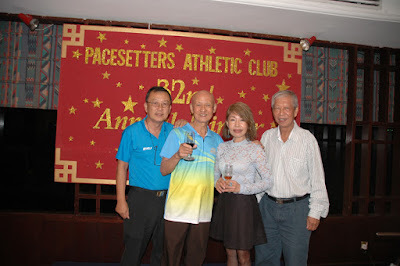 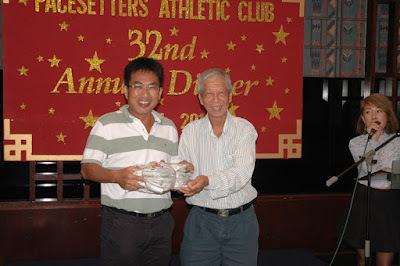 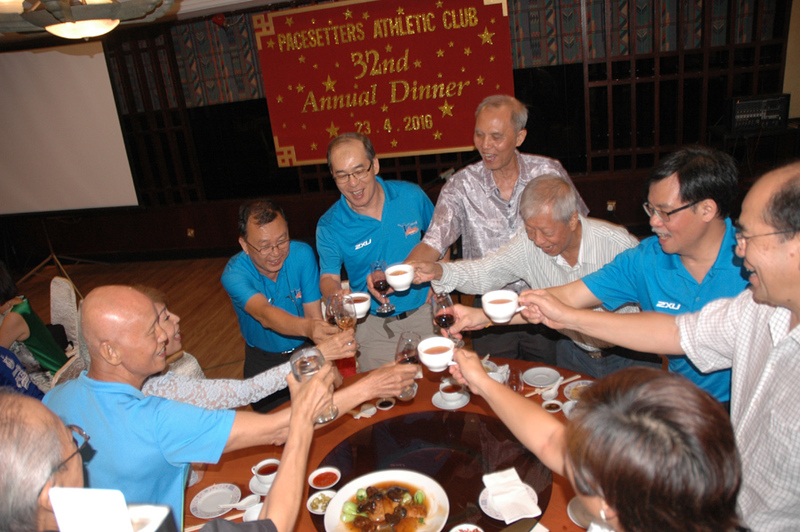 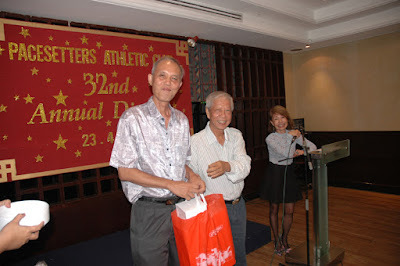 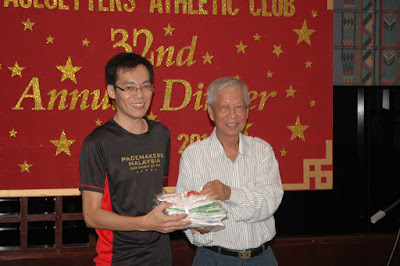 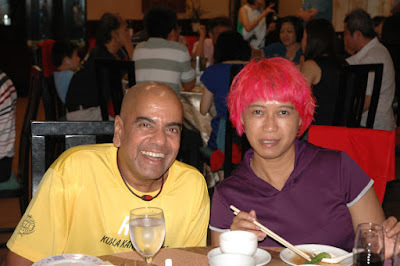 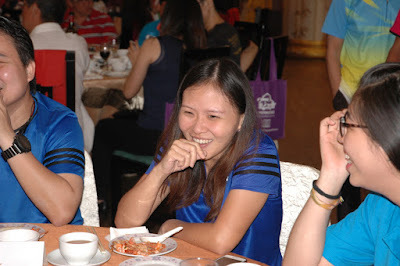 Pacesetters Athletic Club: A small but fun annual dinner. 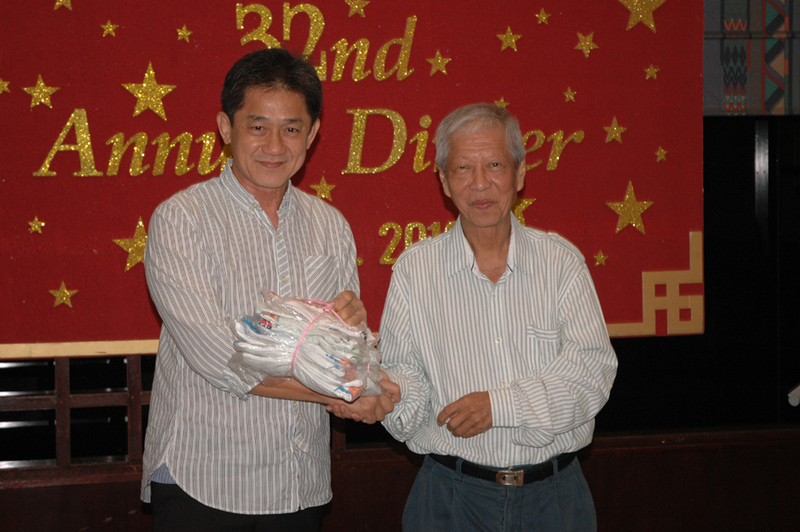 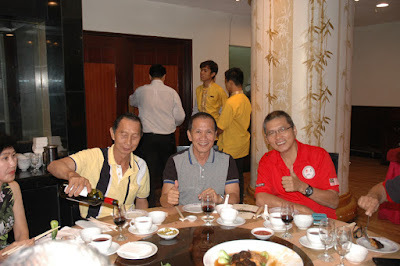 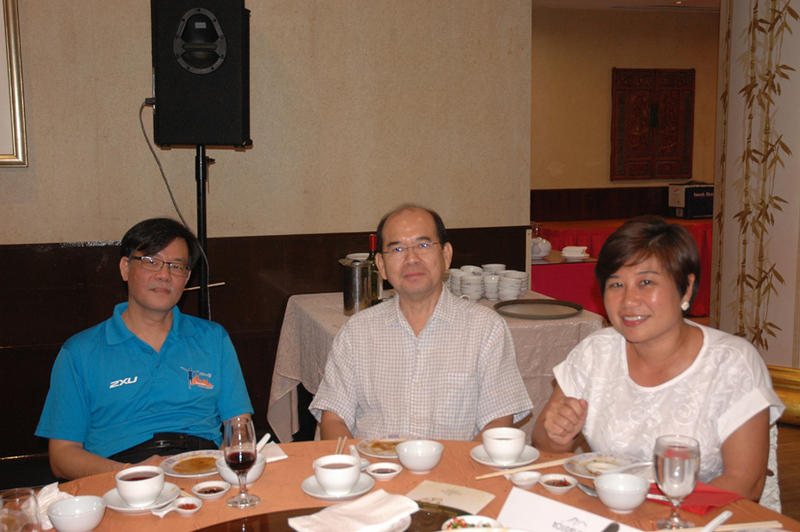 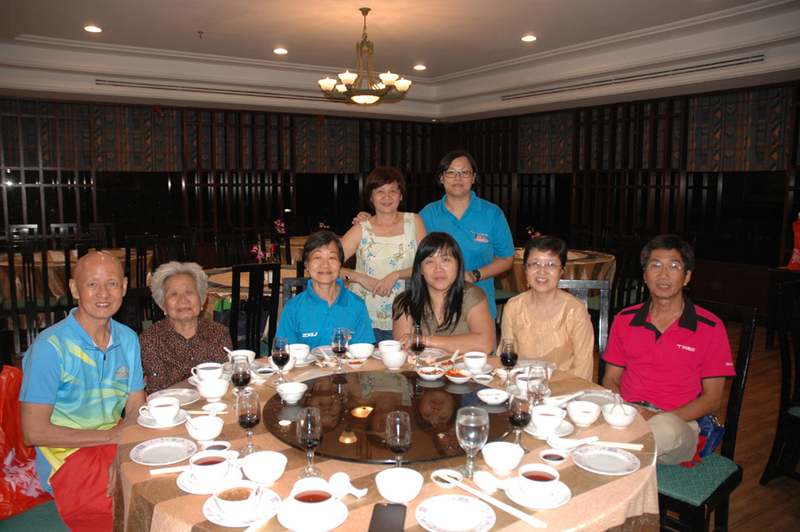 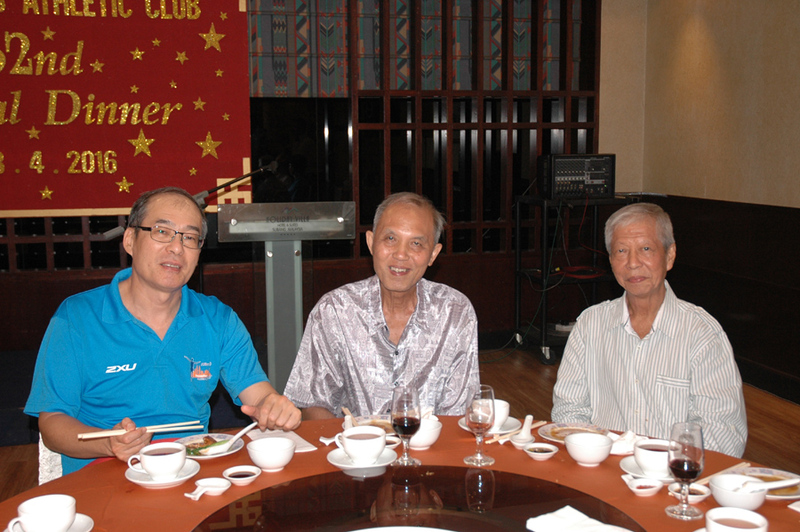 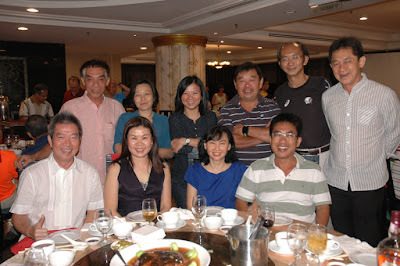 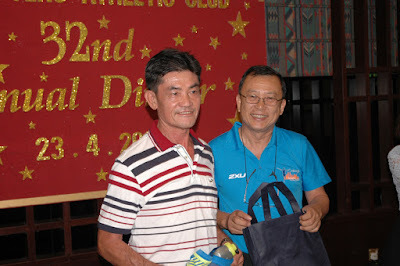 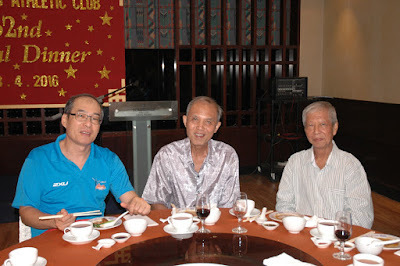 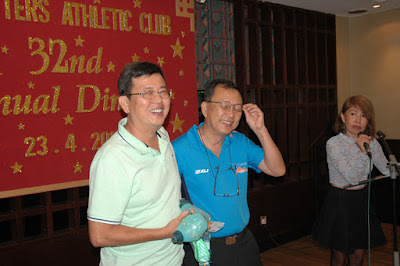 On the afternoon of 23rd April, the club held its AGM at Holiday Villa at Subang Jaya. 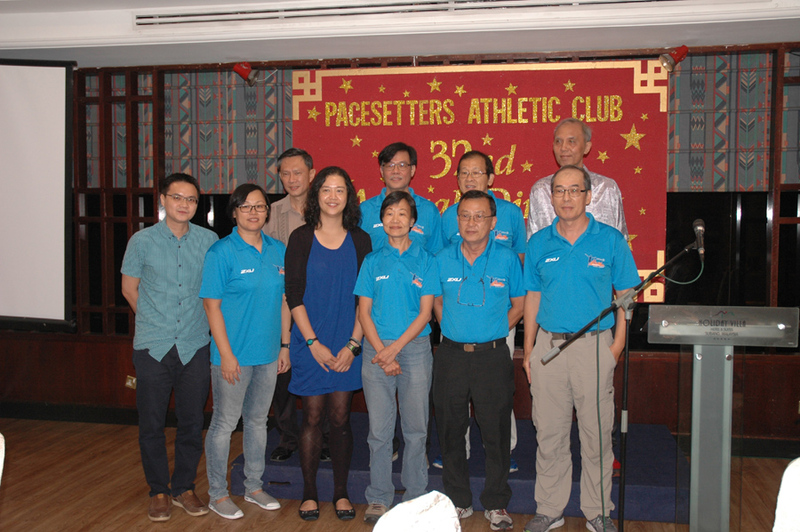 Congratulations to the new committee for 2016 / 2017: President Wan Yew Leong, Vice President Munning, Secretary Chan Kin Hou, Assistant Secretary Ng Chooi Lin, Treasurer Sunny Lee, Assistant Treasurer Chan Shook Fun, Committee Members Li Leen and Johnson Lim and Auditors Alfred Chan and Mah Pung. 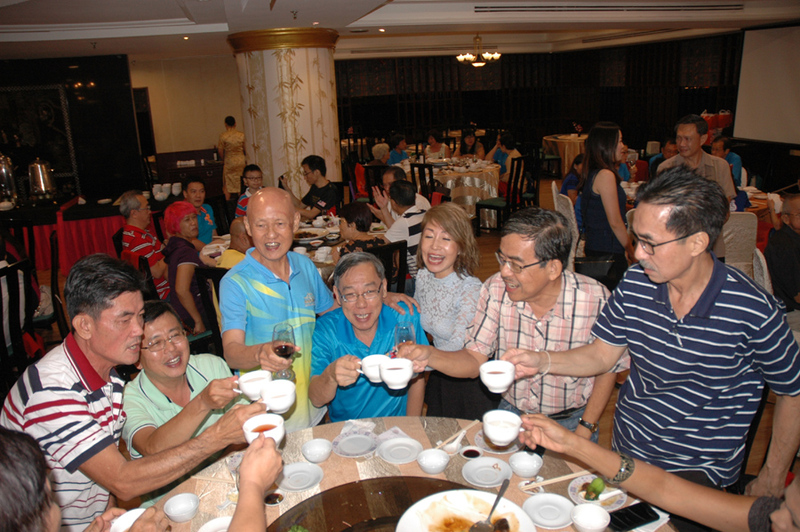 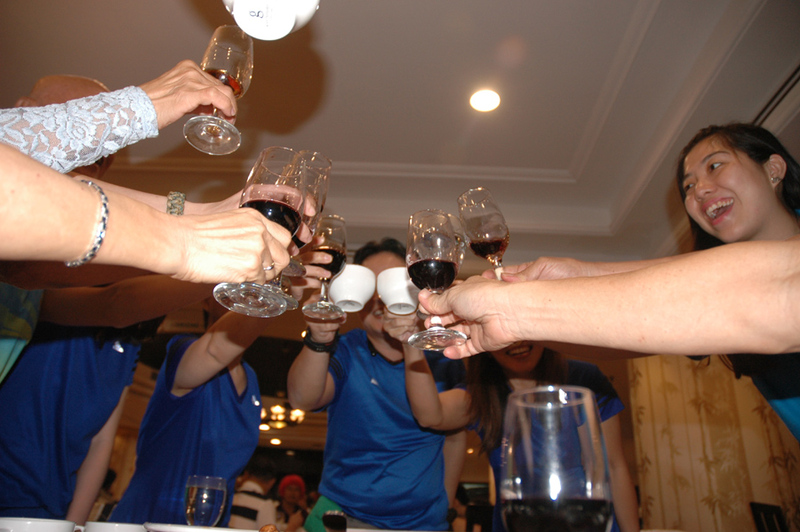 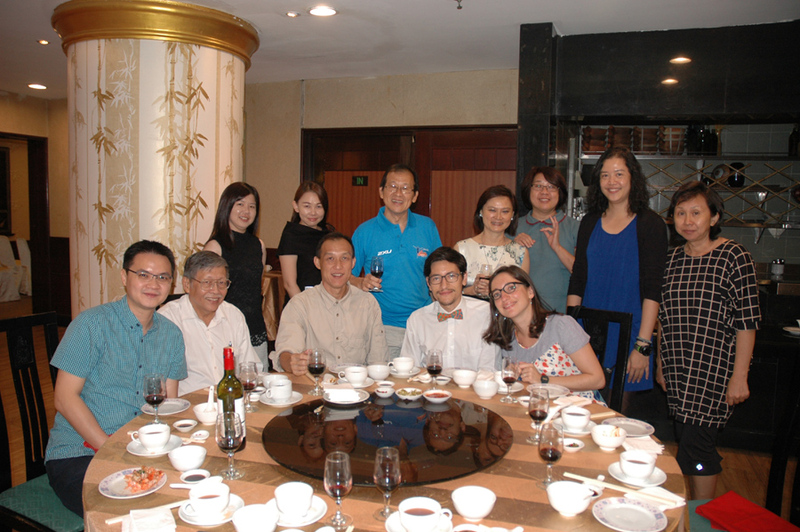 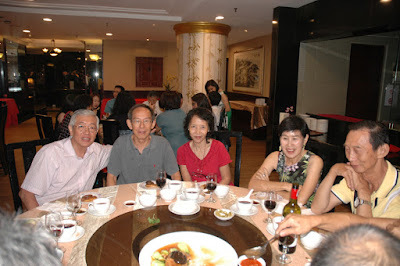 After the AGM, the annual dinner was held at the same place in the evening. 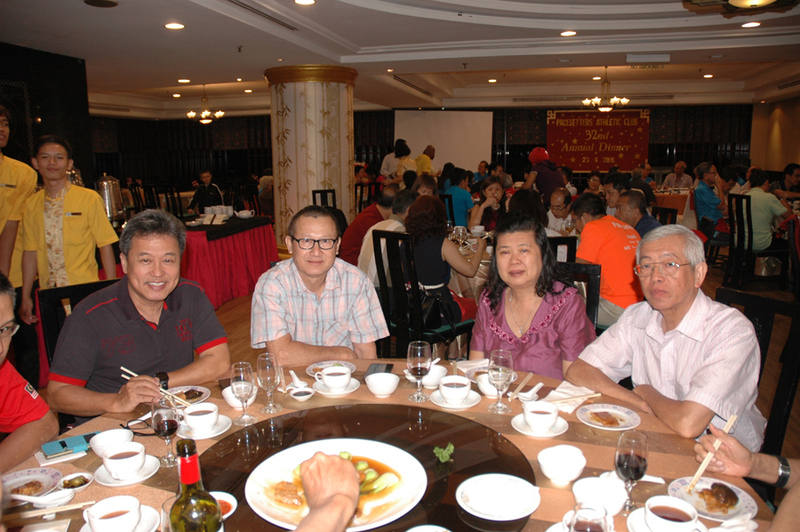 It was a small gathering of 9 ten-person tables. Dinner was a very acceptable multi course (I think it was ten) Chinese dinner, ending with a very delicious lotus paste pancake. 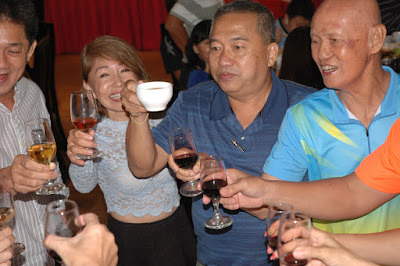 Each table was given a bottle of Penfolds Kenunga Hills Shiraz 2013 which this unsophisticated drinker found to be very smooth. Beside the few individual lucky draws, there was also 6 lucky draws for table, so a large majority of the diners went home with something. 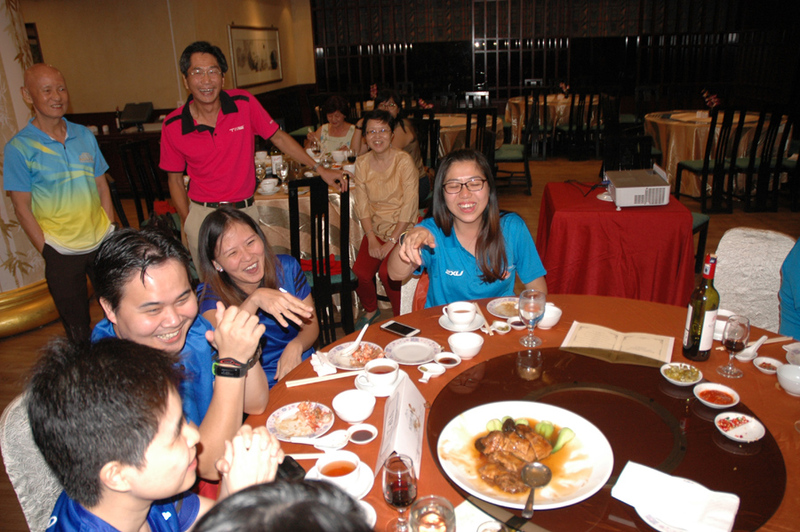 I was seated with 5 employees of Allianz Malaysia, the sponsor's of the club's 4 X 3km relay run in 2015. They were a fun and happy bunch. 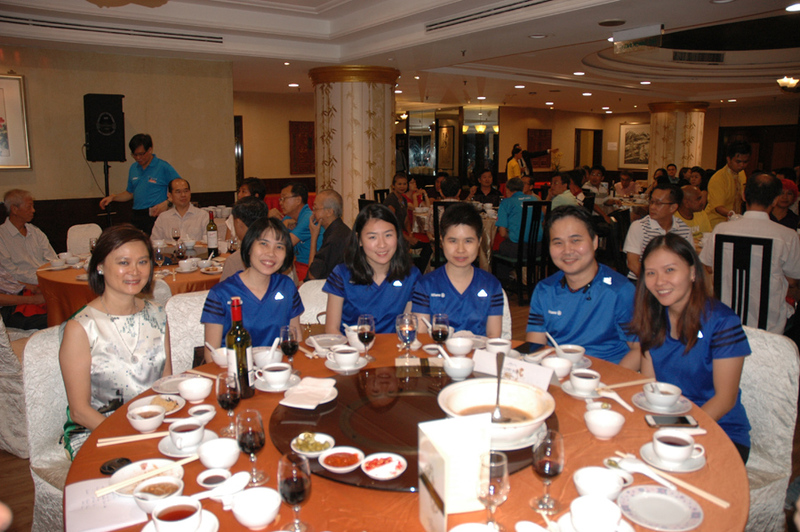 Allianz organises a regular run for their employees on Wednesday evenings and some of the have become regular runners on weekends too.